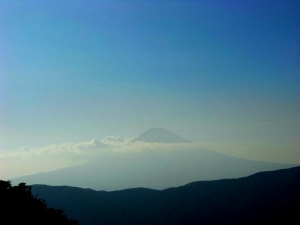 In all my travels – 72 countries and counting – the place I have felt most foreign was Japan. We were constantly wrong-footed. We felt like over-sized, clumsy, uncouth intruders into a highly refined system. 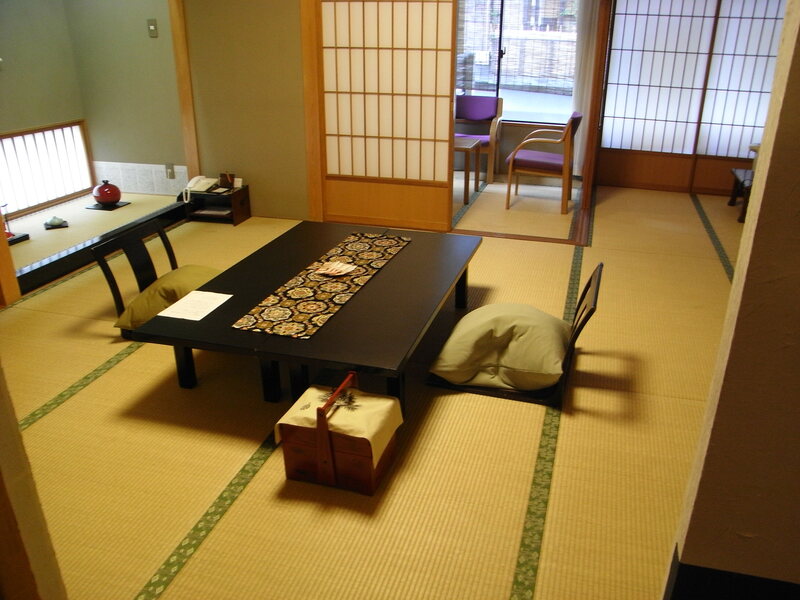 In Kyoto my children and I stayed in a ryokan – a traditional Japanese hotel. It was a beautiful experience that has stayed with us. But we felt we should have had a short training course first! In an attempt to find food we headed back down from our room to the entrance level. We knew there was nothing to the right so instead we turned left out of the lift. Within minutes a fierce elderly woman, large for a Japanese and dressed in full kimono and make up starting missing and gesticulating at us. We were not at all sure what we were doing wrong. We had left our outdoor shoes in our room (we had worked out that part of etiquette) and were wearing the provided slippers. We made baffled faces and gestures. The elderly woman turned to a couple of younger, slimmer colleagues in exasperation, hoping that they could make us understand. She was pointing emphatically at a part of the stone garden. Then we realized. We needed to be wearing a different kind of shoes here. Like the ones she was indicating. Shamefacedly we sidled over to where she had indicated, swapped over our footwear then walked self-consciously around for a little while under her watchful gaze. But we still hadn’t solved the food problem. We walked round the outside zen garden as well (hoping we were in the appropriate footwear) but ended up back in reception. Then had to sneak back to where we had left our slippers feeling like naughty schoolchildren. There seemed to be a conference going on at the hotel so a whole part of the ground floor was blocked. We had the brilliant idea of going back upstairs, along the corridor on the 4th floor then down the other lifts to get to the part of the hotel that we understood from the brochure might have food. We took the lift down to the basement as suggested by the brochure… the lift doors opened and there right in front of us was the same alarming woman. With a stern glower and thinly disguised impatience at how troublesome we were, she held up her arms in front of her in a cross. We got the message. No entry. Despite pressing the lift button several times it felt like an age till the doors closed. During which we just stood there, helplessly in trouble. As soon as the doors closed we collapsed in giggles, a shared moment when we were all hapless children. It is still guaranteed to have an effect, raising this memory over a family dinner. Not all the interventions were so ruthless though. In Hakone, the volcanic hot springs area, a designated Unesco geopark near Mount Fuji, we donned the provided kimonos and headed down to the bathing area in the hotel. We were joined in the lift by a Japanese couple who started tutting, shaking their heads and laughing as soon as they saw us. Without a word the woman set to reorganizing our attire into the correct format. Again hadn’t realized how precise this needed to be, had flung on the kimonos like bathrobes in not at all an appropriate manner. But this sartorial attention was not at all judgmental. It was done with kindness and a curious intimacy. A shared secret. She was delighted that she got us into presentable shape before the lift doors reopened and graciously escorted us to the bathing area to make sure we didn’t make any more mistakes on the way there. Of course, as you will know if you have been in this situate, there is another whole raft of correct procedures for bathing, none of which were even remotely familiar to my daughter and I. It was something of a relief to have the cover of an 8 year old which made it easier for people to help us. We studied the instruction sheet on washing procedure carefully, but were still puzzled. Was it the red bowl first or the blue? And where did the water go after you had poured it over yourself? Were you supposed to be naked or supposed to not be? 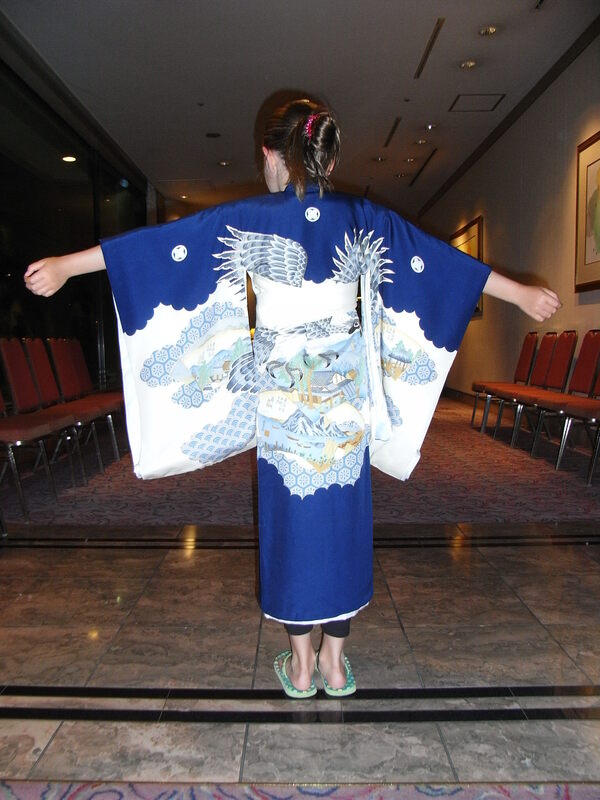 (It seemed an odd contrast with the importance of doing your kimono up modestly to then be completely naked). We muddled through and the blissful feeling of gliding silently through the warm water, especially to the outside part of the pool, the starry night spread over us, the perfectly tended gardens all around and the mountains in the distance made it all worth the confusion. We drifted into a half conscious state, nodding serenely at the other bathers from time to time. For the first time we felt absorbed by, at peace with, the culture. We accepted it and felt like it accepted us. wow that’s a lot of countries. I have a deep desire to visit Japan, to feel exactly what you described as ‘most foreign’ Beautiful image of your daughter? Thanks! The aesthetics and etiquette of Japan are fascinating. Definitely worth visiting.